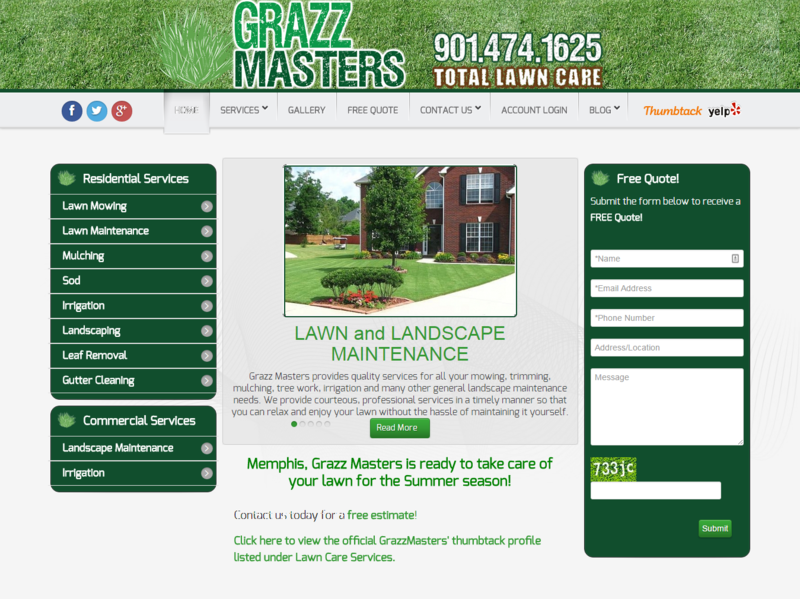 Full service lawn care provider serving the Greater Memphis Area. 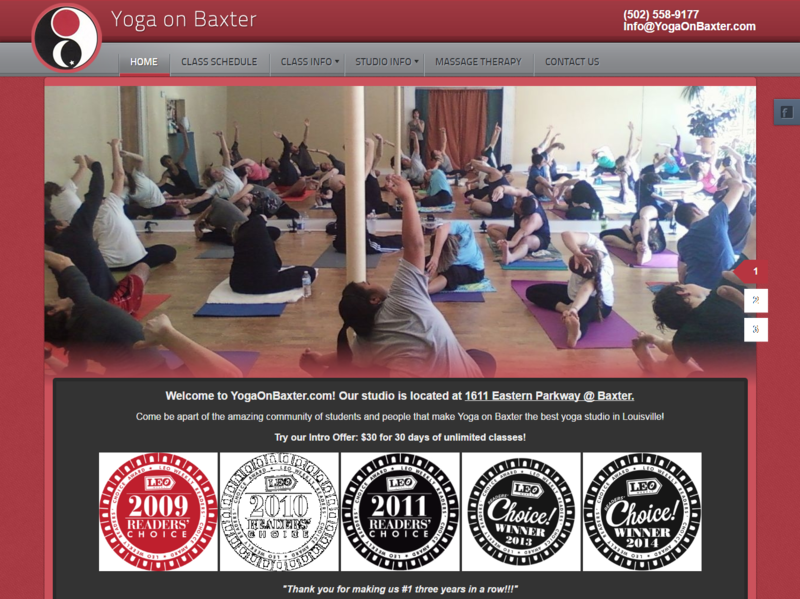 Yoga on Baxter is an award winning Yoga/Pilates studio located in Louisville, Kentucky. 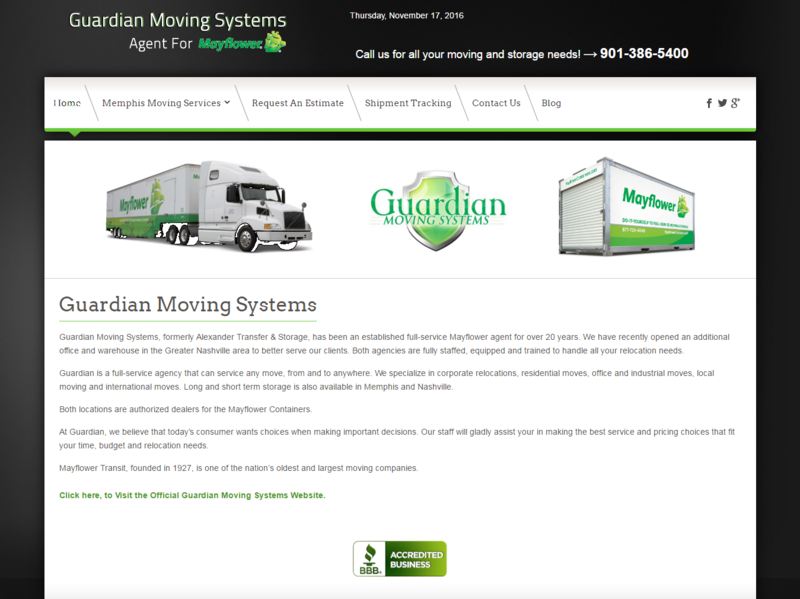 Guardian Moving Systems is a full-service agency that can service any move, to and from anywhere. 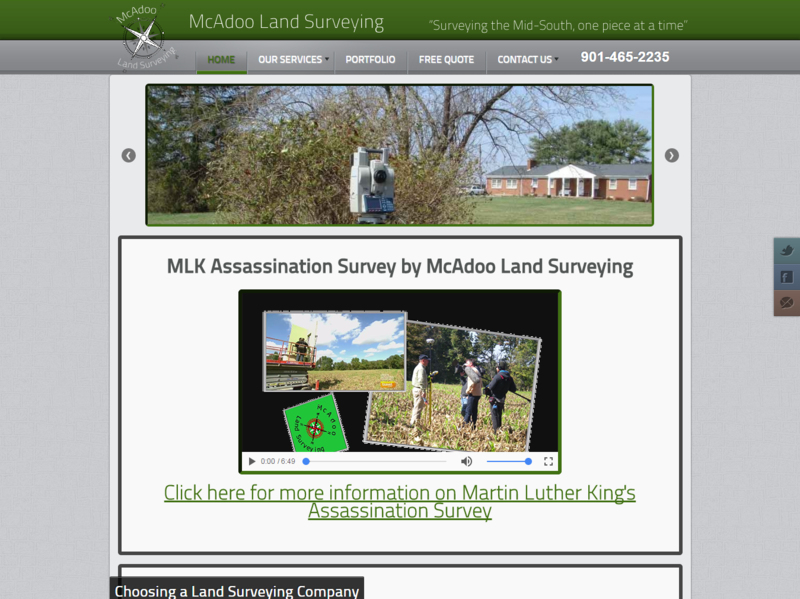 McAdoo Land Surveying is a land surveying company in the greater Memphis area. 901GetASam.com provides portable storage containers for your needs. "When it comes to creating professional, attractive, and effective websites, there is no company that can surpass 901 Designs. Thanks to their talent, our site has taken off in the search engines like a rocket. In this day and age, it is impossible to get ahead as a business without the support of gurus like 901 Designs standing behind you." "I am really happy with your service, it is exceptional, 901 Designs is just great. When I have a question they answer it at once, they have more than an outstanding customer service." "901 Designs is a true expert in the field of digital marketing. During the course of my project, the designers and engineers did an awesome job. I will continue to use 901 Designs as my choice for a digital marketing agency."